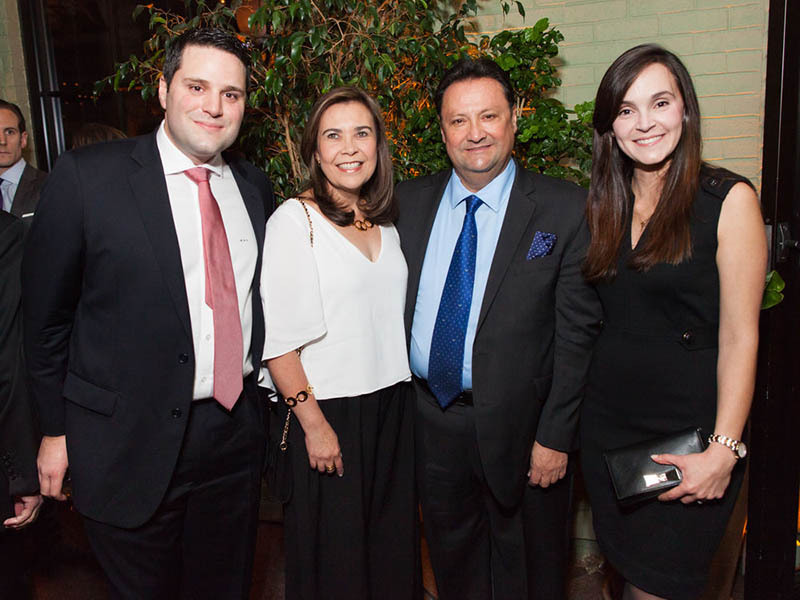 Giving back has become part of the Rizk Ventures DNA. As an organization, we firmly believe that good business requires good corporate social responsibility. That is why we proudly support organizations that dedicate themselves to that same mission. This past 12 months our team has had the privilege of giving back to a few incredible organizations that we feel reflect the values and ethics we as an organization and family abide by. September 11th reminds us of the great sacrifices the men and women that serve and protect our country continue to make every day. 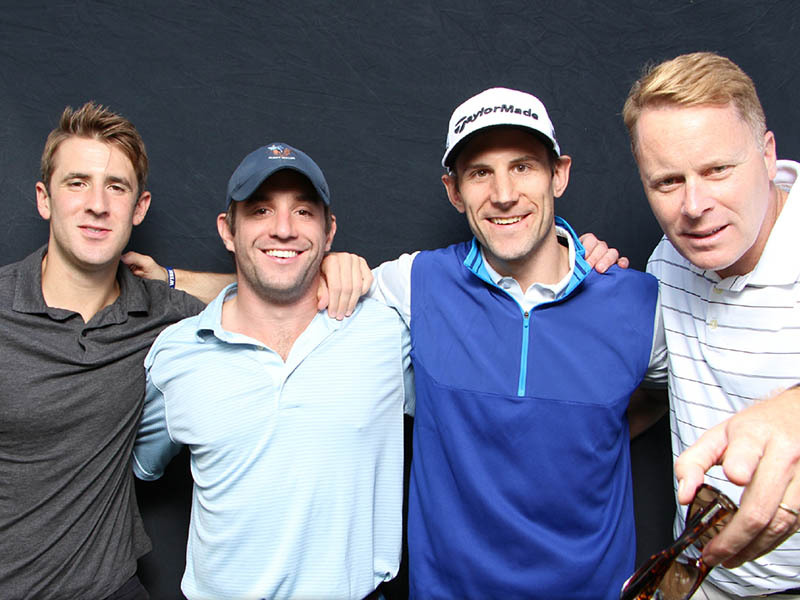 That’s why Rizk Ventures always proudly supports Operation Game On (OGO) in their passionate mission to assist returning combat wounded men and women with a very special golf program aimed at mental and physical rehabilitation. Sgt. 1st Class Ethan Carpenter, a member of the 75th Ranger Regiment died as a result of injuries from an airborne training accident in Arizona earlier this year, a somber reminder that “freedom in not free.” Carpenter was one in a long list of Rangers that have paid the ultimate price for freedom. 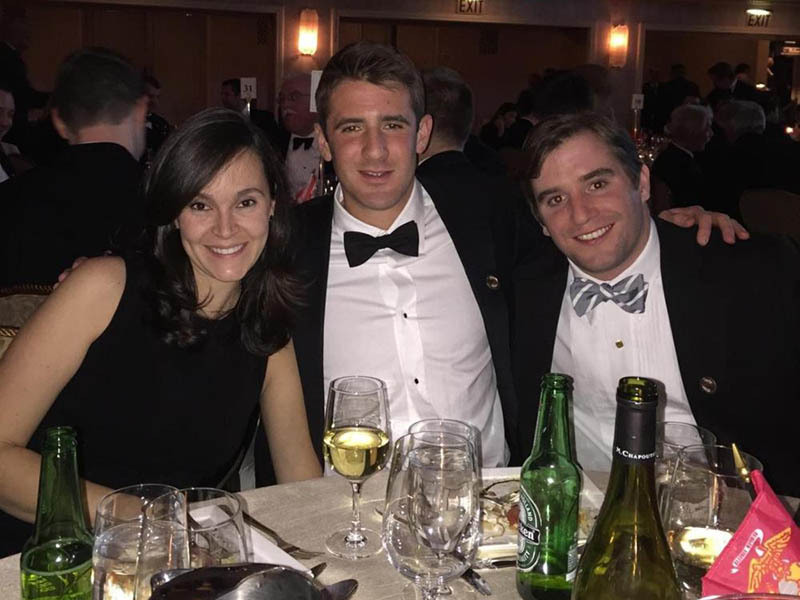 That is why Rizk Ventures supported the Army Ranger Lead the Way Fund, an organization that provides financial assistance to the families of the elite Special Operations 75th Ranger Regiment. Combine the ideals of CITRS with a handful of core Army values – loyalty, duty, respect, selflessness service, honor, integrity, and personal courage – and you understand why the Rizk Ventures team chooses to support the Marine Core Law Enforcement Foundation (MC-LEF). This impressive foundation has awarded over $76 million in education scholarships and our humanitarian assistance since it’s inception in 1995. Recently, Rizk Ventures had the honor of hosting Col Barney Barnum, Ret. 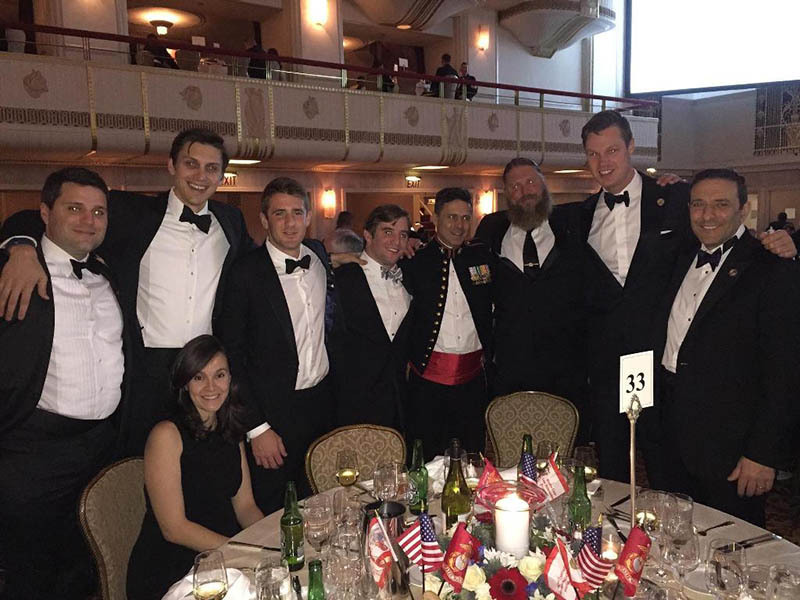 USMC and Congressional Medal of Honor recipient at the annual MCLEF gala held at Cipriani in New York City. The take away from all the amazing organizations we support? The core values of these philanthropic organizations translate into the same core values that make a successful business organization. 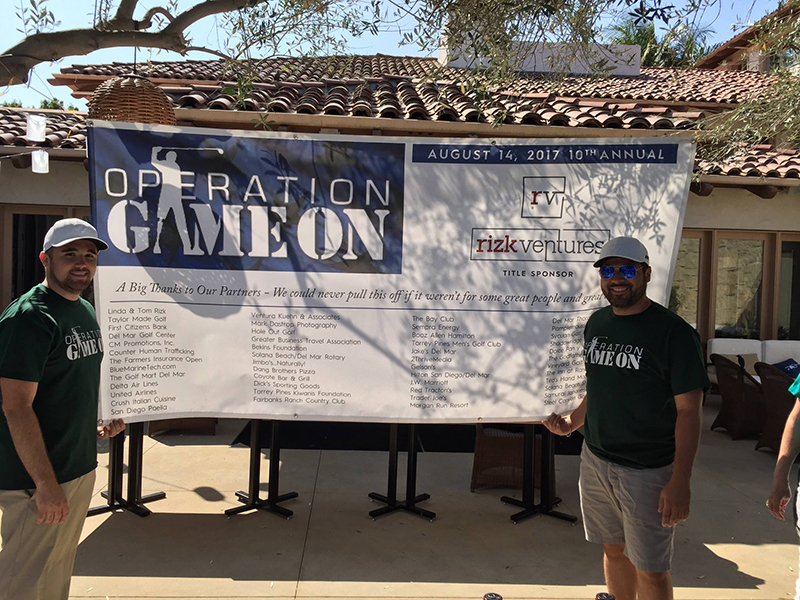 Rizk Ventures was honored and proud to sponsor Operation Game On’s (OGO) 10th Annual Golf Classic, a charity event that took place on August 14th, 2017 at the Morgan Run Club & Resort in Rancho Sante Fe. 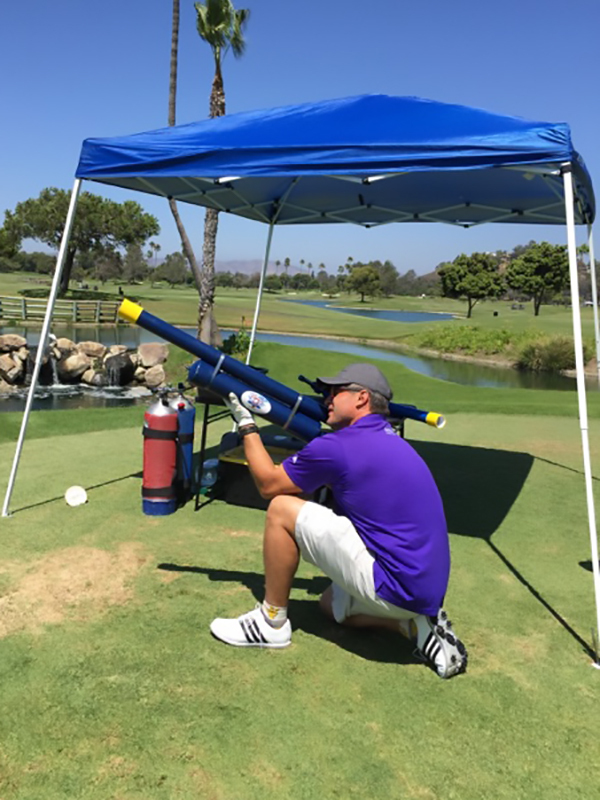 The Golf Classic is OGO’s premiere annual event held to raise money to rehabilitate returning combat-injured troops suffering from physical disabilities and PTSD. 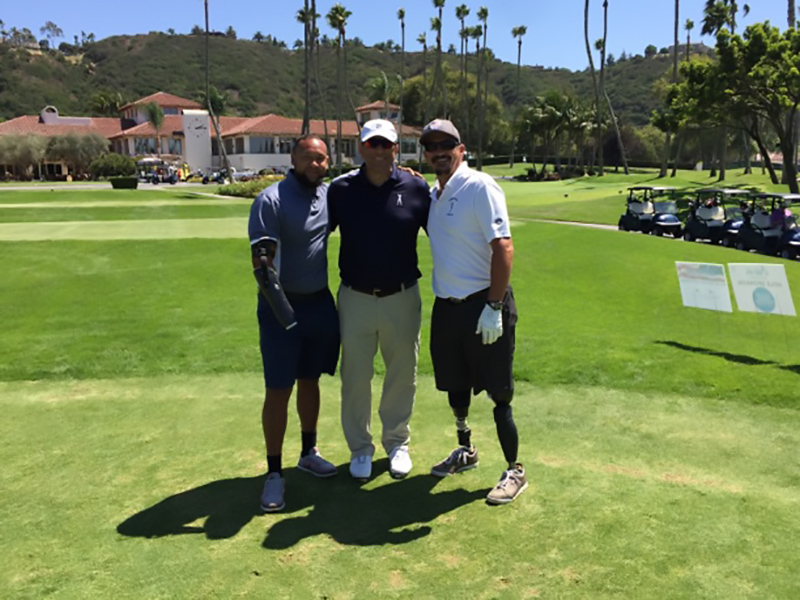 OGO founder, Tony Perez, has spent the last decade working directly with the PGA and TaylorMade to provide combat-injured troops with a unique introductory golf program that helps to rehabilitate them both physically and emotionally. 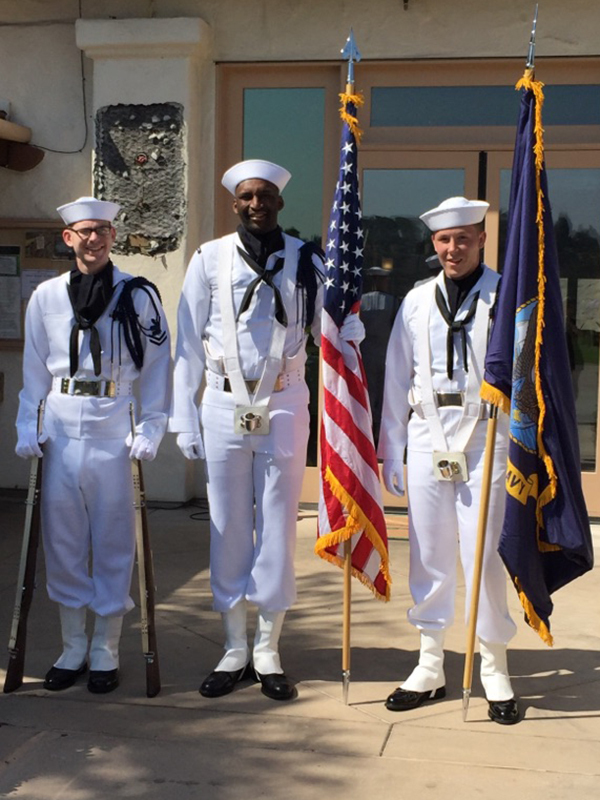 This year’s event began with the traditional presentation of colors by the Color Guard from the USS Carl Vinson, “Taps” played by Greg Kaput, and a powerful performance by PGA golf instructor Chris Lesson of the national anthem. 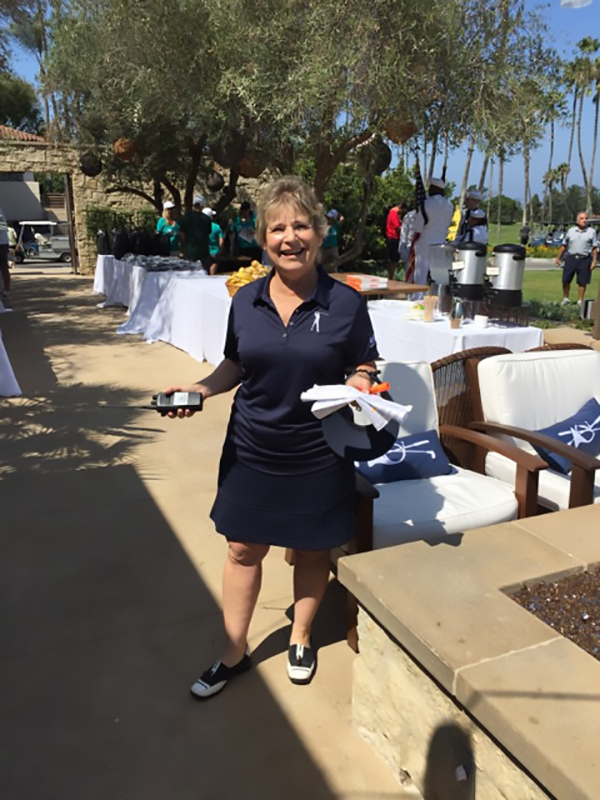 Tony Perez was delighted that the ABC 10 News team was on the course covering the event and bringing attention to this impactful program. You can imagine Tony’s surprise when he realized the ABC team was actually there to present Tony with the 10 News Leadership Award. ABC presents this award to a person who “provides leadership by making San Diego a better place to live standing up for those who need help, has initiated or created solutions for other, is a role model and fulfills a local need—thereby improving the quality of life for all San Diegans.” Well, there is no doubt about the impact Tony Perez has had on the military community of San Diego or the solution he has created for our returning combat wounded men and women. 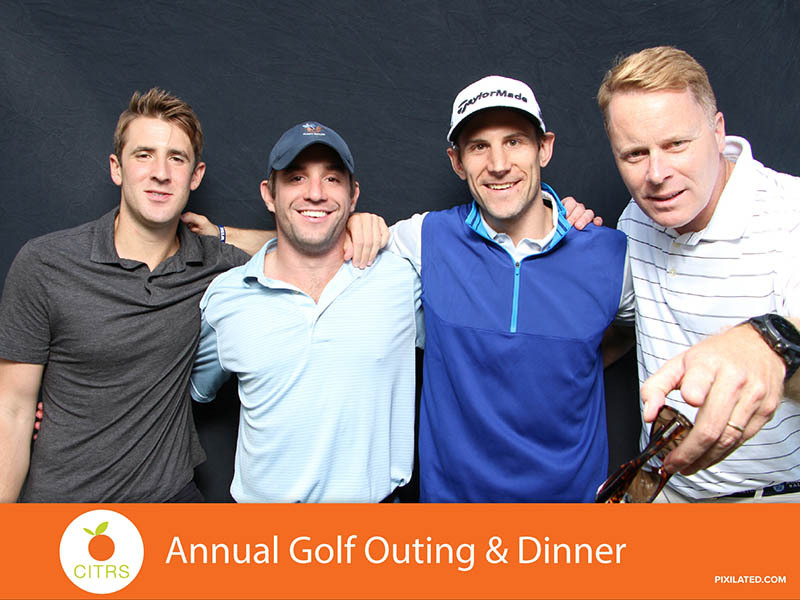 The program’s success was once again palpable on the course. Twenty troops played in this year’s event alongside friends and sponsors. I had the privilege of playing with two of Operation Game On’s members; Retired US Marine Corp Col Jim “Red Dog” Collins and Retired US Marine Corp Col Doug Cullins, along with Rizk Ventures’ own retired Marine Corp LtCol James Wiley. Col Cullins lost his leg due to an injury while serving in the Vietnam War and attributes his successful return to the sport to OGO. Col Cullins, who has been fighting through PTSD, attributes part of his recovery to his success as a member of OGO. Cullins, who recently entered his second year at University of San Diego School of Law, says that Tony was instrumental in helping him transition from the Marines to law school. 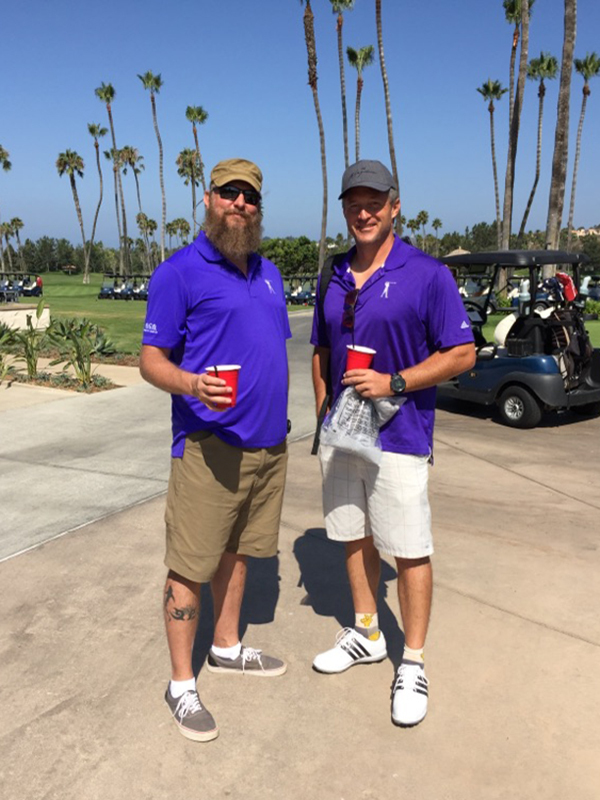 Recently, OGO established a number of partnerships with local golf courses to provide more golf opportunities to the combat wounded troops. 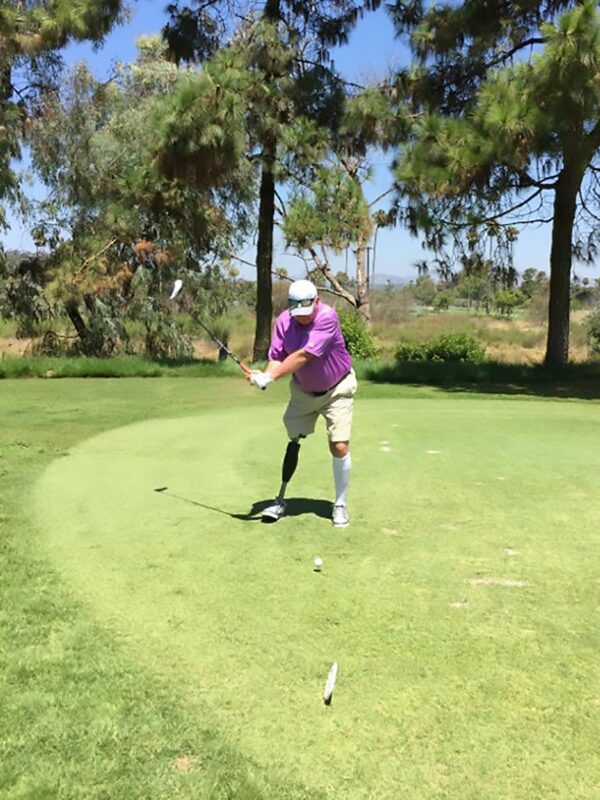 With over 400 wounded troops passing through OGO’s program and inspired to play golf, this new Freedom Golf Network will provide them the affordable golf opportunities allowing them to continue their physical and emotional rehabilitation. We at Rizk Ventures are always blown away by the bravery and resolve demonstrated by the members and the families of OGO who have made great sacrifices in the name of our country. Now we hope that we have inspired you to do the same. 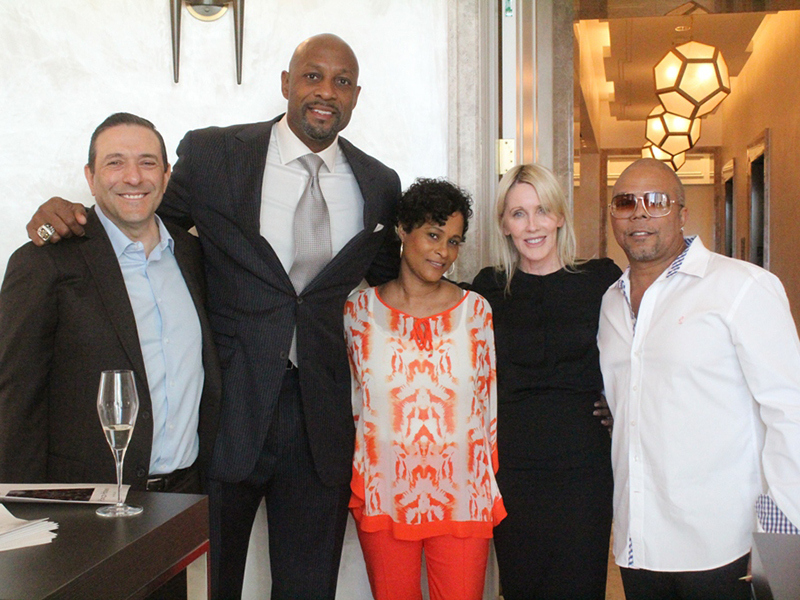 Rizk Ventures was excited to host a private viewing of Alonzo Adams’One Man Show hosted by our own Geoffrey Rizk on April 9th, 2017 at the Four Seasons private residences in support of the Mourning Family Foundation.The event helped kick off the nationally acclaimed artist’s 25th Anniversary of his New York exhibit. The focus of the art and evening as a whole was friendship and community. Many of the paintings were from Adam’s series currently in development called The Code Blue Series. The series addresses concerns about our youth and humanity in general. 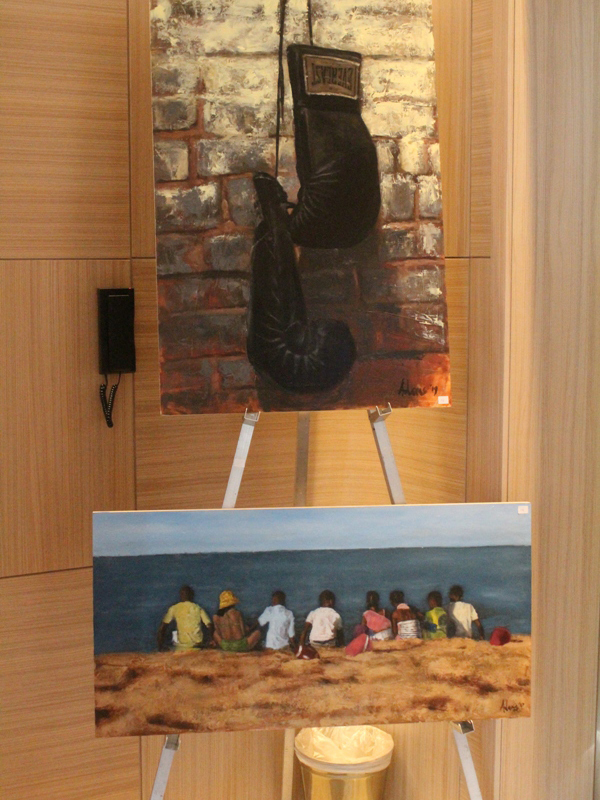 Two very special paintings, Pieces of a Dream and The Veteran are both centerpieces of the series. 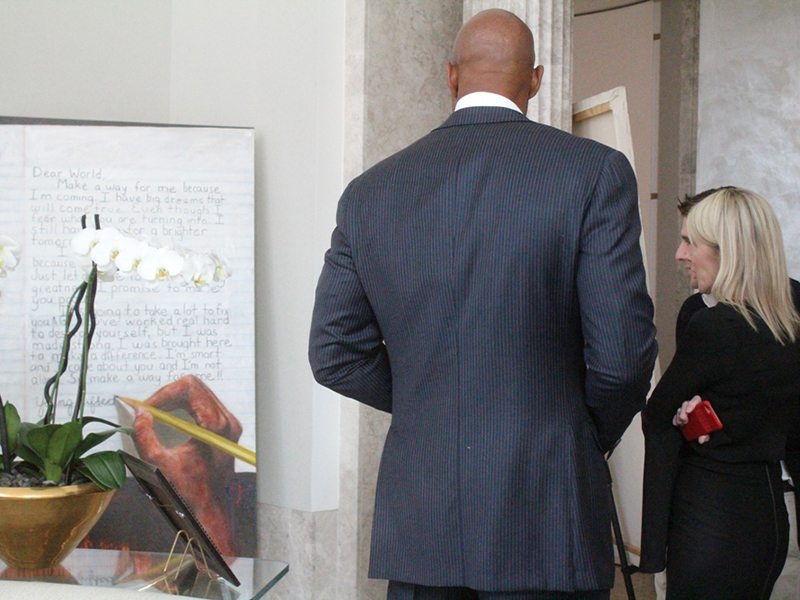 A large percentage of the proceeds from the sale of the artwork were donated to the Mourning Family Foundation, an amazing nonprofit organization founded by Tracy and Alonzo Mourning that focuses on the development of youth “through advocacy, education and enrichment.” Over the course of the last 20 years, the Mourning Family Foundation has helped raise over $25 million to support youth development programs. 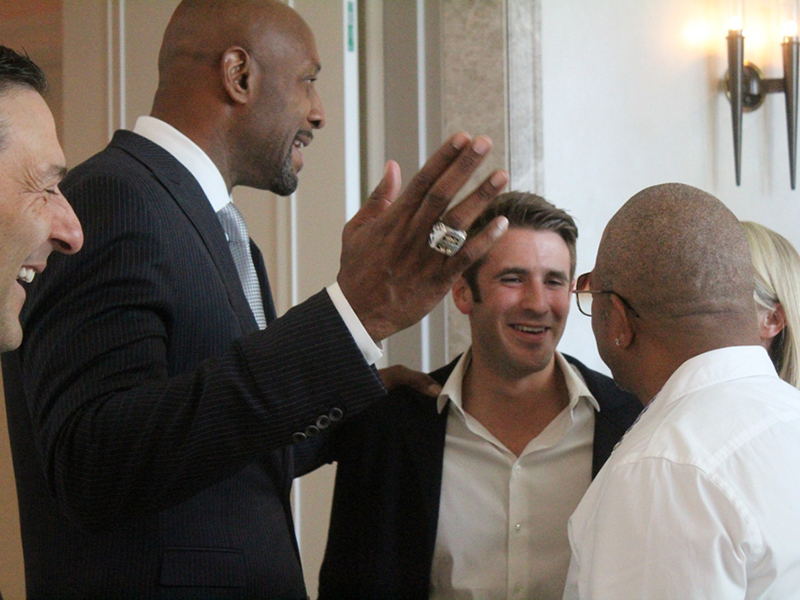 The event was attended by NBA Hall of FamerAlonzo Mourning, EPSN’s Stephen A. Smith, Former NY Giants TE Zeke Mowatt, Dr. Emmet Dennis, as well as a few long-time collectors of Adam’s artwork. Overall the night was an amazing success thanks to Alonzo,Geoff, and all the incredible guests that walked away with a special piece of Alonzo Adams art. 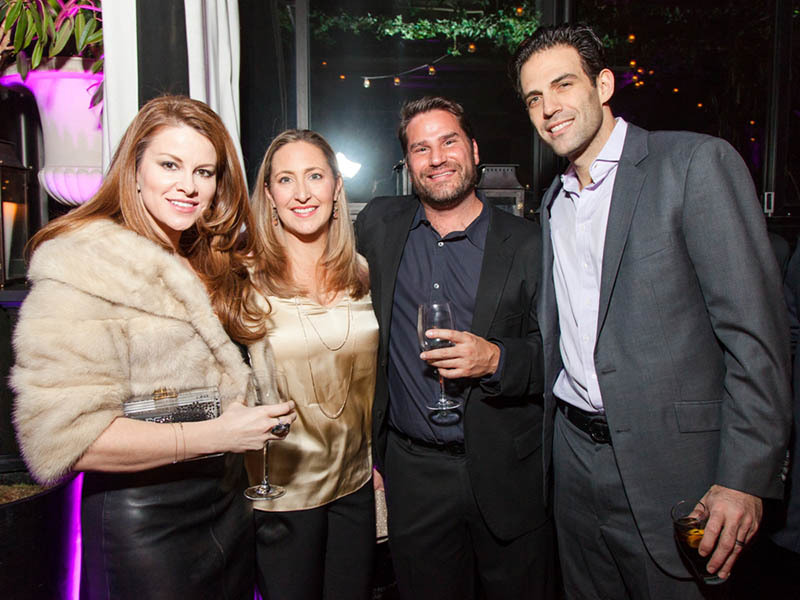 The event was photographed by another very talented Adam’s family member, Kyle Adams of Prestige Photography. 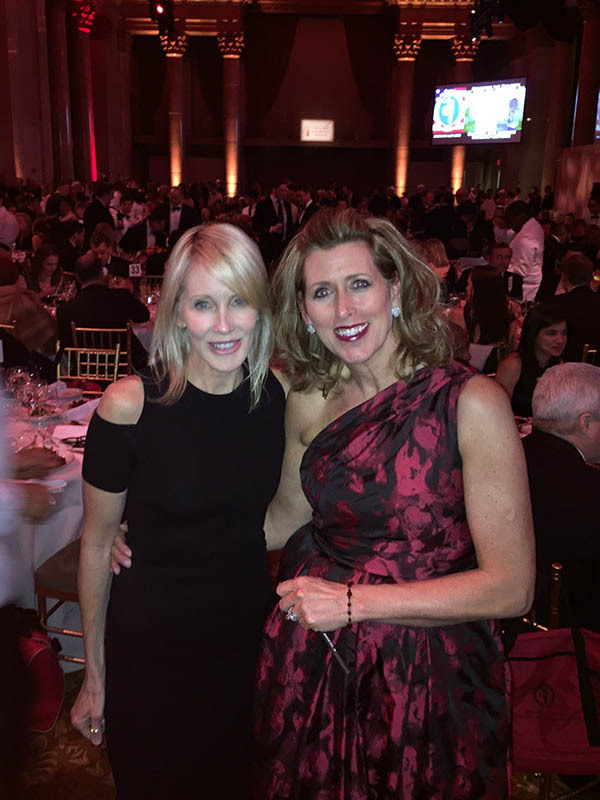 Rizk Ventures was excited to sponsor a table at the Marine Corps – Law Enforcement Foundation’s (MC-LEF) 22nd Annual New York City Gala held at Cipriani Wall Street. As always, it was an incredible honor for our Rizk Ventures team to be able to support MC-LEF, an amazing organization that not only provides educational scholarships to the children of fallen United States Marines and Federal Law Enforcement Officers, but has also expanded its support to include medical equipment and financial aid for catastrophically wounded Marines and mentally or physically disabled children of active duty Marines. Since the founding of MC-LEF in 1995, the organization has awarded over $71 million in scholarships and has supported over 3,900 children. MC-LEF has already awarded over $600,000 to 28 recipients in Q1 of 2017. 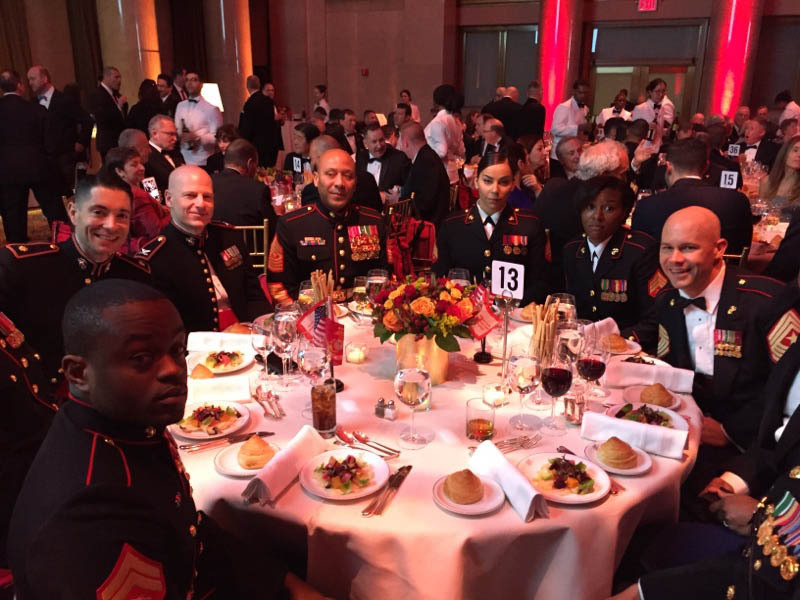 The event, attended by Marines in full military dress, as well as military and law enforcement veterans, was also attended by Chairman of the Joint Chiefs of Staff General Joseph F. Dunford, USMC, 37th Commandant of the Marine Corps General Robert B. Neller, Retired USMC Commandants General Jim Conway and General Al Gray, Former New York Police Commissioner Ray Kelly, 2 Medal of Honor Recipients, and one of the young MC-LEF scholarship recipients. The 16th Chairman of the Joint Chiefs of Staff Ret. General Peter Pace, USMC, was awarded the 2017 Commandant’s Leadership Award of the Marine Corps-Law Enforcement Foundation for his long-standing service on MC-LEF’s Board of Directors in addition to his exceptional achievements earned in his 40 years of USMC service and as a civilian. General Pace has the distinction of being the first Marine to serve as Chairman of the Joint Chiefs of Staff and was awarded the Presidential Medal of Freedom in 2008. Mr. Joseph M. Murphy Chairman of Country Bank accepted the 2017 Semper Fidelis Award for his military service and lifetime support and dedication to MC-LEF and countless other military organizations and committees. 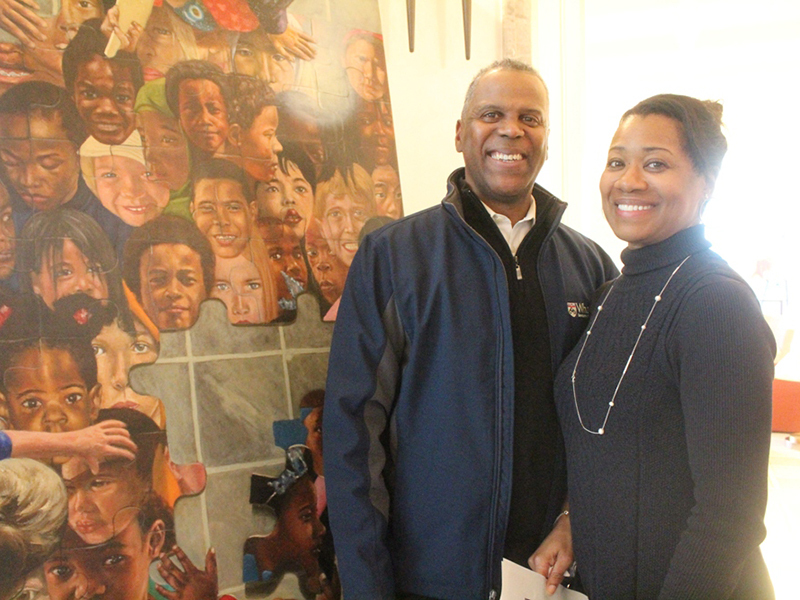 Mr. Murphy has been an active Director of MC-LEF since 1997 and has also served in various roles at the Marine Corps Heritage Foundation, the Investment Committee of Marine Military Academy, and the Marine Corps University Foundation. Mr. Murphy was appointed by President George H.W. Bush as a Member of the National Board Fund for the Improvement of Post secondary Education. He currently serves as Chairman Emeritus of the Naomi Berrie Diabetes Advisory Committee and as Member of the Board and Executive Committee of the Columbia Medical Center Board of Advisors. 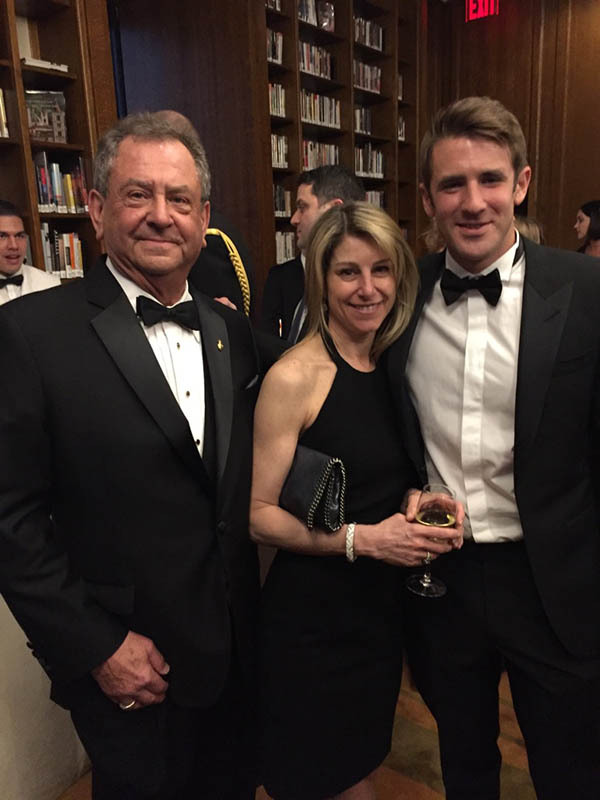 Last year’s Semper Fidelis Award recipient, Steven Cohen, was also in attendance with his family. Mr. Cohen continues to demonstrate his commitment to the mental health of U.S. veterans and their families, opening five Cohen Veterans Network clinics since April 2016 offering free healthcare services to U.S. veterans across four states. The Network has plans to open five more clinics across the country before the end of 2017. 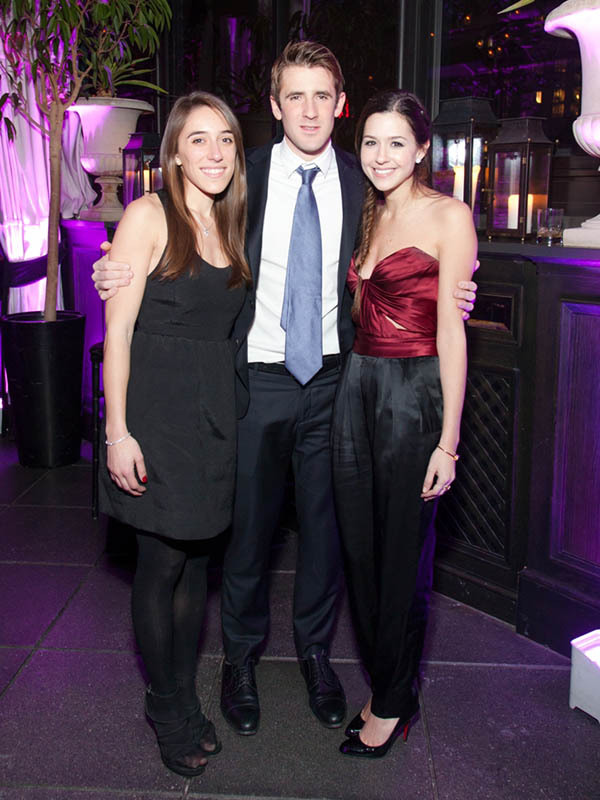 In total, 650 guests attended the NYC Gala which raised over $1.2 million for the organization. We at Rizk Ventures continue to applaud the amazing work MC-LEF does to help the families and children of the men and women who make the ultimate sacrifice to serve our country. 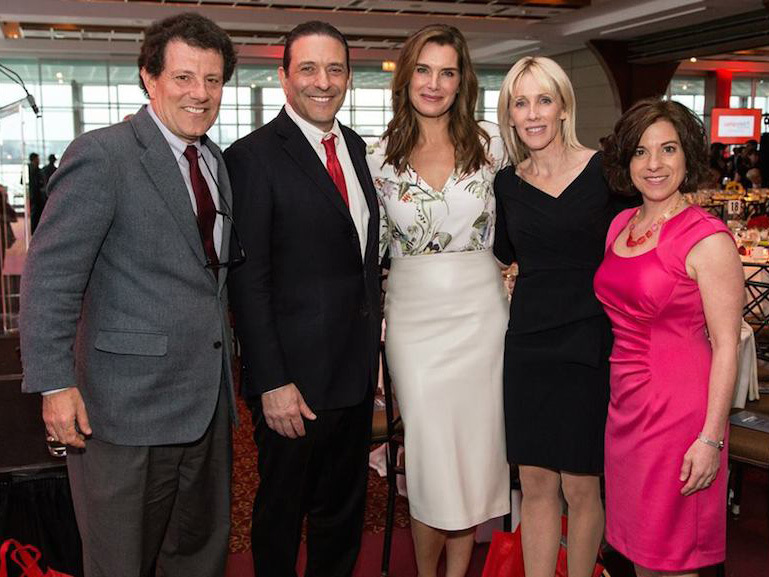 We also applaud the amazing efforts of the Chairpersons Mr. & Mrs. James and Sue Kallstrom and Mr. & Mrs. Matthew and Jill Zames. A former Assistant Director of the FBI and founding member of MC-LEF, Chairman James Kallstrom helped to shape MC-LEF’s mission and continues to provide counsel on all new initiatives. Finally, we commend MC-LEF Executive Director, Sue Boulhosa, for her tireless commitment and energy to this organization. Ms. Boulhosa sets the bar in her dedication to MC-LEF and support for the U.S.military men and women. 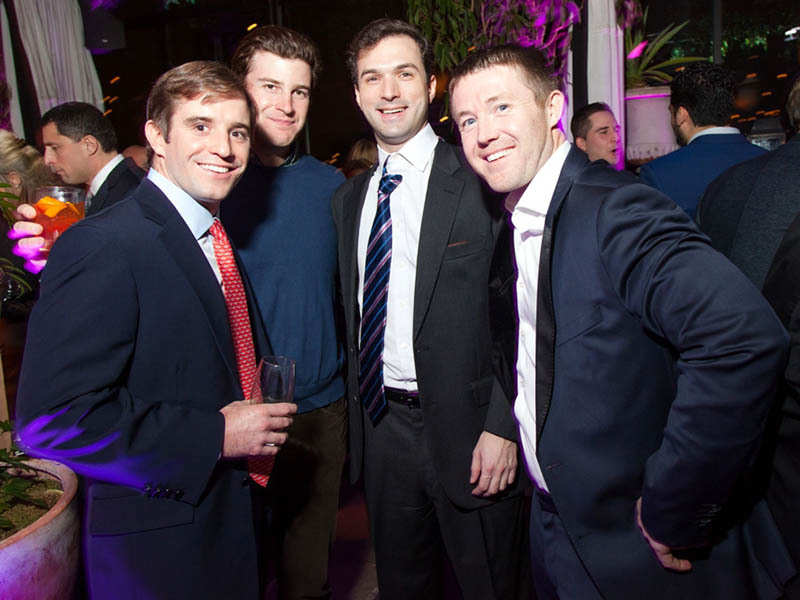 It was an honor for Rizk Ventures to participate in the MC-LEF Annual NYC Gala again and we look forward to continuing our support. 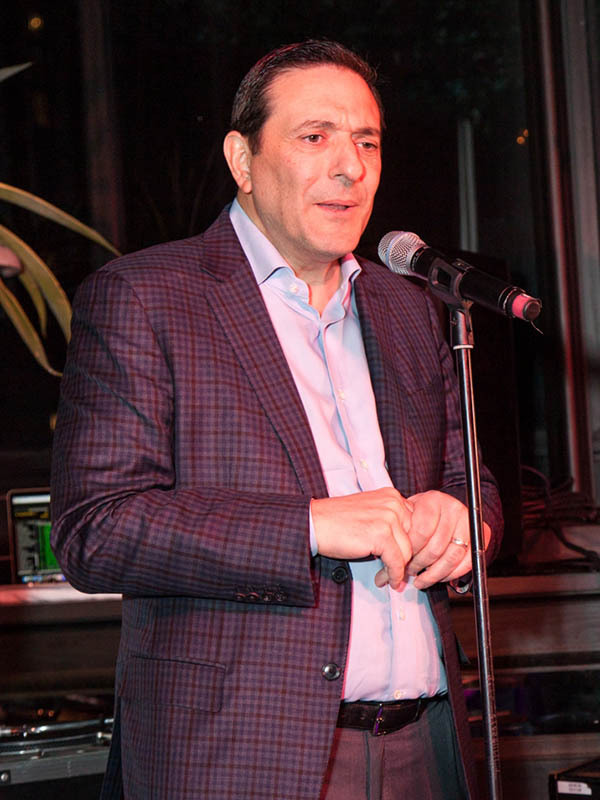 Every year around the holidays we like to take a moment to thank the hardworking members of the Rizk Ventures family and update everyone on our company achievements for the year. It’s been a very busy 2016 for us at Rizk Ventures, during which we continued to expand our portfolio and grow the preexisting ventures we’ve been involved with since our founding in 2013. To start, Workspace Property Trust (WPT) added over 100+ new commercial real estate properties across the Phoenix, South Florida, Tampa, and Minnesota markets worth nearly $1 billion. The full WPT portfolio is now comprised of over 10 million square feet of leasable office and flex space, valued at well over $1 billion. We’re happy to report this was not the only substantial acquisition made during 2016, as Rizk Ventures Colombia completed the execution of a healthcare real estate sale-leaseback transaction with an affiliate of The Goldman Sachs Group, Inc. (GS). The transaction was for the real estate of the hospital known as Hospital Universitario Clinica San Rafael (HUCSR) in Bogota, which was purchased from the Orden Hospitalaria de San Juan de Dios (OHSJD). Furthermore, during 2016, the initial healthcare real estate transaction completed by Rizk Ventures and GS was voted one of the top 12 major Colombian business moves for 2015/2016 by El Tiempo, Colombia’s most important newspaper. This initial transaction was for the real estate of a hospital group known as Fundación Cardiovascular de Colombia. The transaction was completed in December of 2015. The Classroom24-7 Team had a fantastic 2016, highlighted by the joint initiatives with RV Healthcare Analytics (RHVA). Together, the two companies provided a more robust suite of technologies to drive greater adoption of healthcare performance improvement initiatives, lean healthcare practices, and healthcare workforce training for all hospital employees. In addition, RVHA and Classroom24-7 built upon their relationship with Florida Gateway College and continued development of our Pharmacy Technician Training Program. We also signed new partnerships with other University partners including Cleveland Marshall School of Law where we will focus on our eDiscovery program for practicing attorneys. The team continues to support our existing clients in the healthcare and corporate training markets. 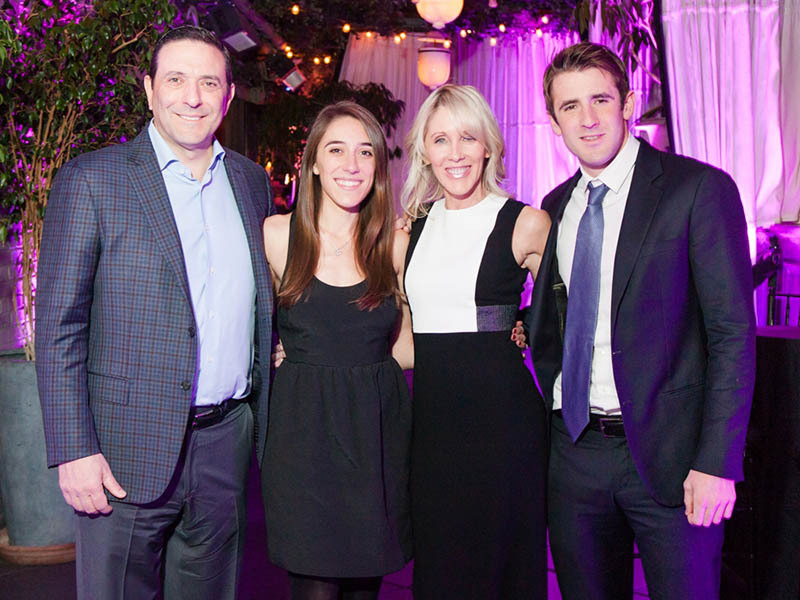 This year Rizk Pictures, the newest addition to the Rizk family office, was founded by Alexandra Rizk Keane. Rizk Pictures got off to a quick start, signing on to help produce the film Literally, Right Before Aaron, expected to be released in 2017. 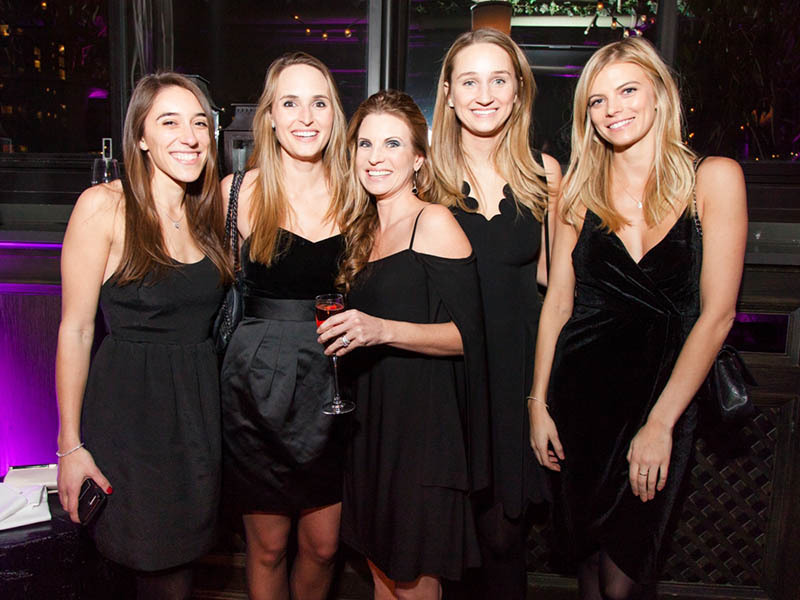 On December 16th, we invited our friends, families, and colleagues to join us for our annual Rizk Ventures Holiday Party and celebration to close out 2016. 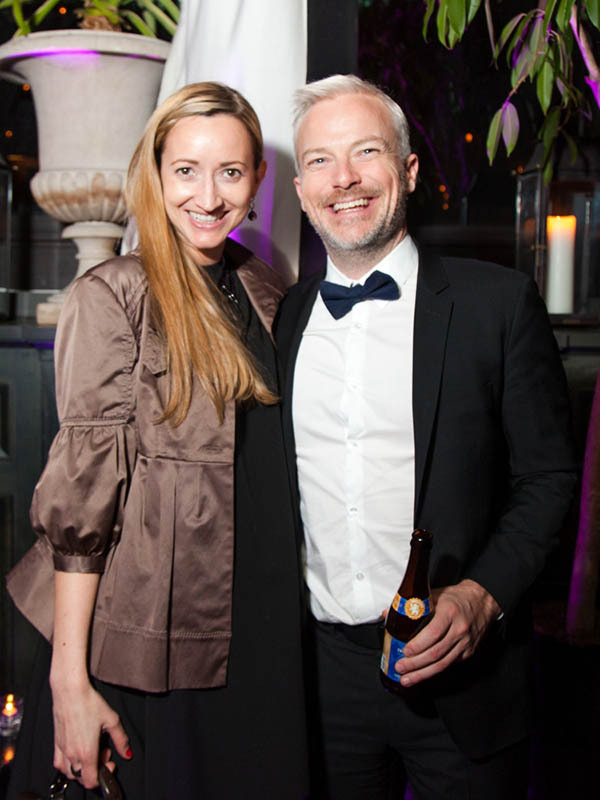 Held in the Terrace of the Gramercy Park Hotel overlookingNew York City, the party began with a cocktail hour but soon progressed into a night of dancing and fun, thanks to Coco the DJ and amazing performances by our two musical guests. Food and drink were offered throughout the night, as servers offered a variety of hors d’oeuvres to complement a barbeque station and other buffet-style food options offered to the guests. 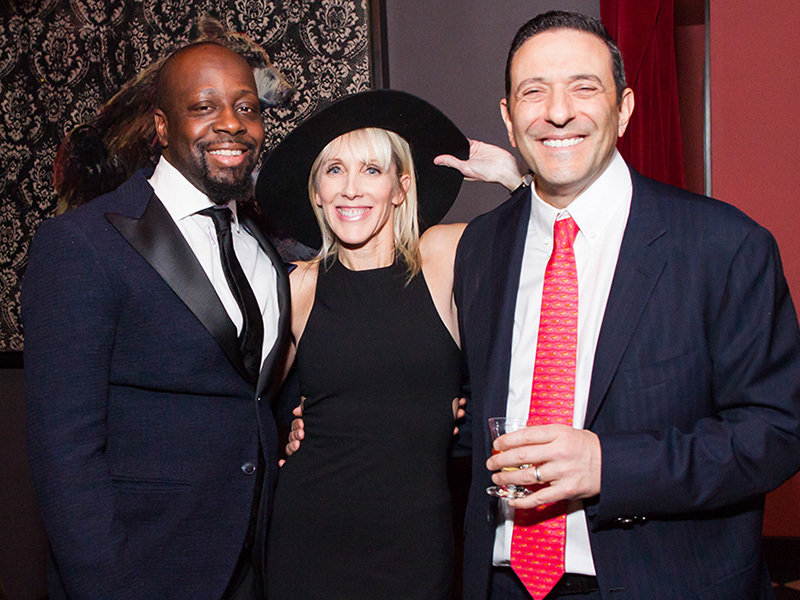 The musical guests for the night were Tony Award Winning Singer Dan’yelle Williamson and Grammy Award Winning Artist and human rights ambassador, Wyclef Jean. Dan’yelle Williamson kicked off the entertainment with her rendition of some of our favorite holiday classics before introducing myself and the rest of the Rizk Family to take a moment to recognize our wonderful friends and colleagues we are incredibly grateful to know and work alongside. 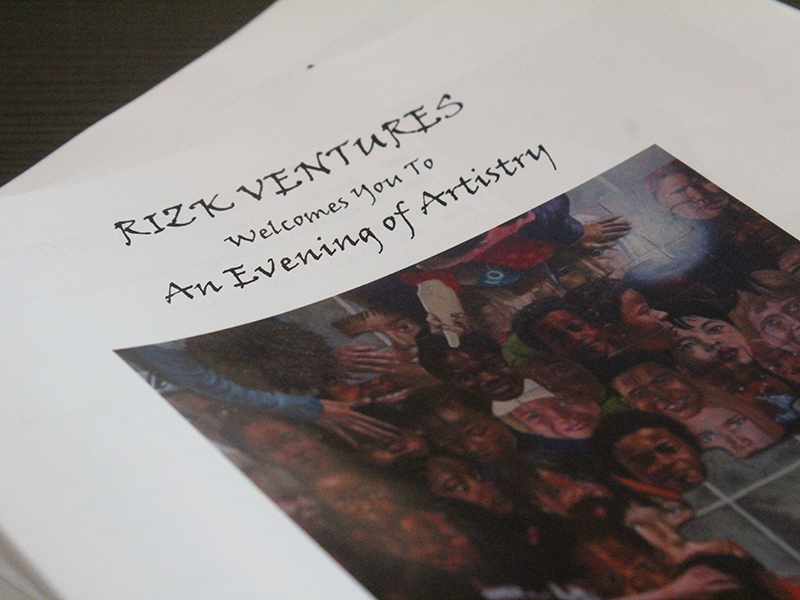 We highlighted Rizk Ventures’ past year’s work and achievements. The party heated up withDan’yelle joining Wyclef to perform some classic Christmas duets as well as The Fugee’s hit song “Killing Me Softly.” Wyclef then took the stage by himself to perform and MC, playing a wide range of his hit songs from over the past 20 years and doing what he does best, entertain! Wyclef was even gracious enough to record a rap for our friends and family of the Navy currently on submarine deployment. It has been a truly remarkable year for Rizk Ventures and we would like to extend our best wishes and thanks to everyone whom without, it would not be possible. Although the holidays will be used to spend time with family and reflect on the year, we’ve got even bigger plans for next year and are excited to hit the ground running in 2017! Happy Holidays and Happy New Year! 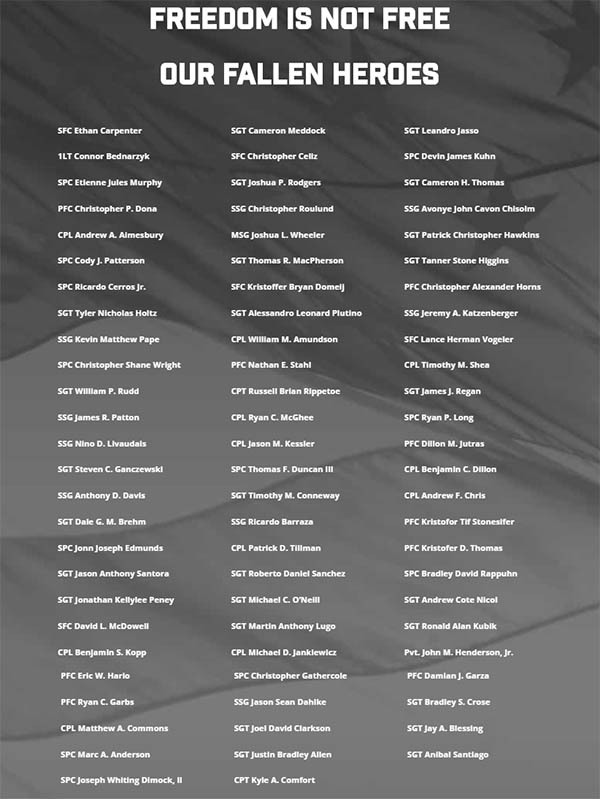 As always we honor and thank all the men and women, including our own Rizk Venturesfamily, that serve our nation. 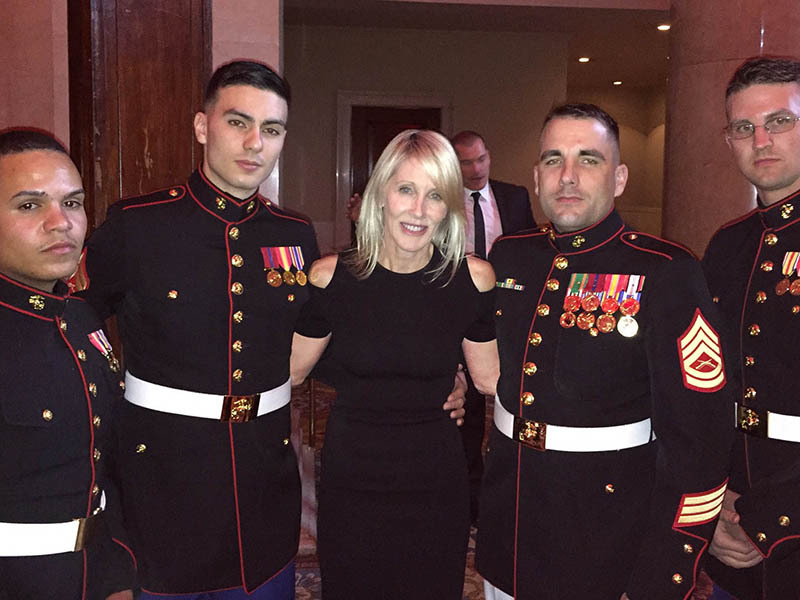 Last week, Rizk Ventures sponsored a table at the Marine Corps – Law Enforcement Foundation’s (MC-LEF) 21st Annual New York City Gala at the Waldorf-Astoria Hotel. 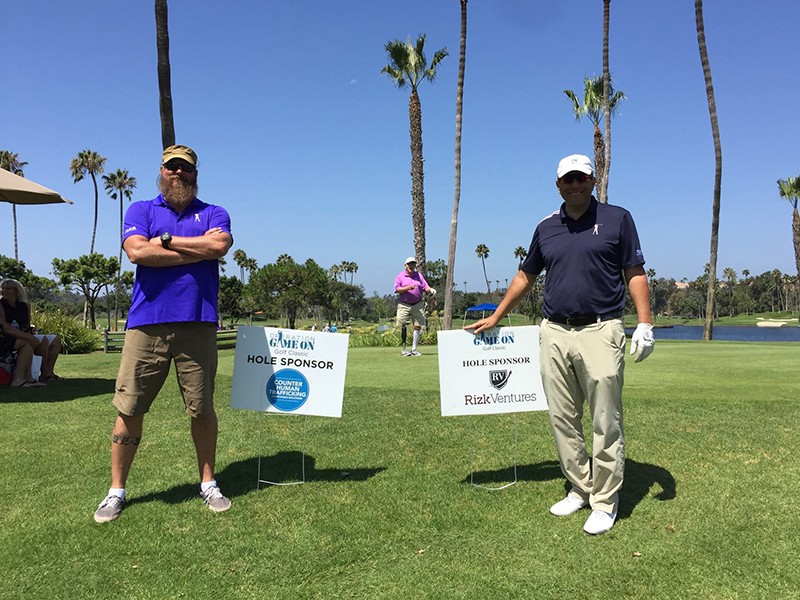 It was truly a pleasure and honor for our team to support MC-LEF, an incredible organization that provides educational scholarships to the children of fallen United States Marines and Federal Law Enforcement Officers. Since the founding of MC-LEF in 1995, the organization has awarded over $67 million in scholarships and has supported over 3,700 children. The event, attended by Marines in full military and military and law enforcement veterans, was also attended by the Assistant Commandant of the Marine Corps, General John M. Paxton, Jr., former New York Police Commissioner Ray Kelly, former head of the New York FBI Jim Kallstrom, 4 Vietnam War Medal of Honor Recipients, our own LtCol James D. Wiley, and the guest of honor, Steve Cohen. Steve Cohen, the successful hedge-fund investor, was awarded the Commandant’s Leadership Award of the Marine Corps-Law Enforcement Foundation for his commitment of $275 million to the Cohen Veterans Network of mental-health clinics opening around the country and Cohen Veterans Bioscience, a research nonprofit dedicated to researching PTSD and traumatic brain injury. 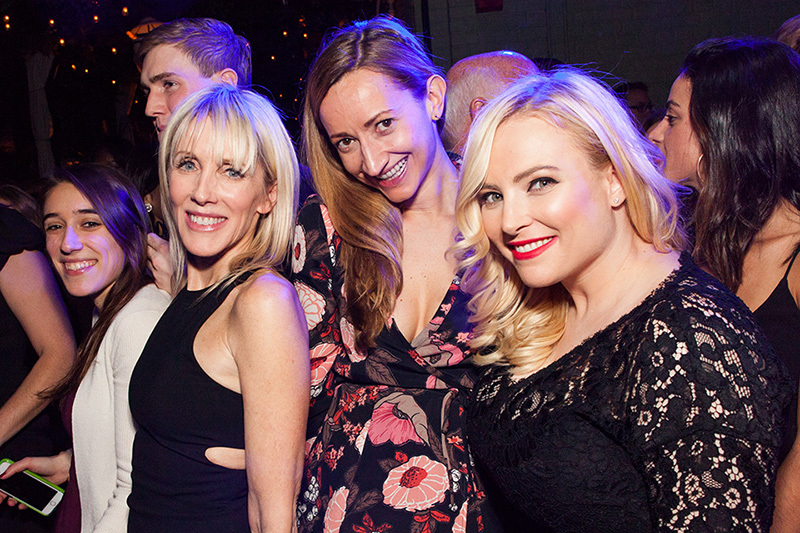 In total, 650 guests attended the NYC Gala which raised $1.3M+ for the organization. We at Rizk Ventures applaud the amazing work MC-LEF does to help the families and children of the men and women who sacrifice themselves to serve our country. We also applaud the amazing efforts of Mr. Steve Cohen, whose selfless ambition aims to support and provide aid to the brave men and women who selflessly volunteered to protect our country and defend our freedoms. It was an honor to participate in such a wonderful event and we cannot wait for next year. 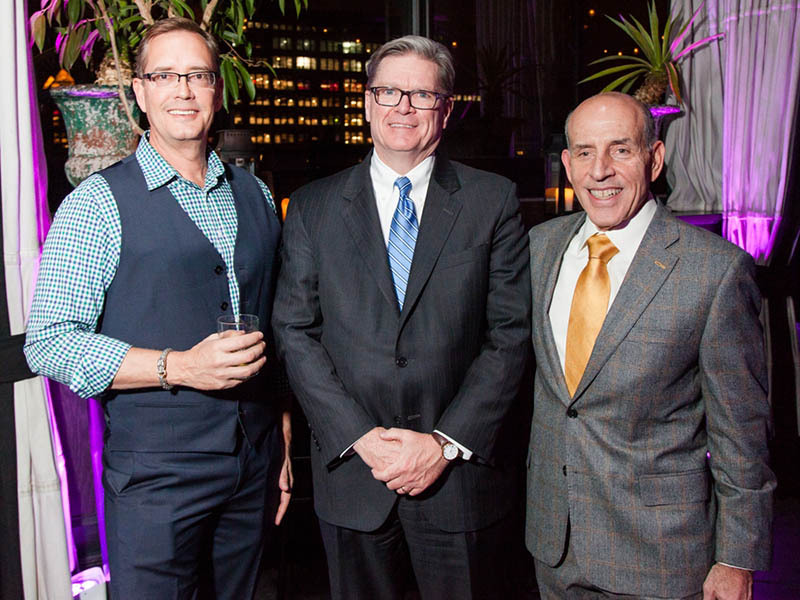 Thomas Rizk, LtCol James Wiley, and I were honored to represent Rizk Ventures at fashion photographer Nigel Barker’s New York Fashion Week Cocktail Party last week to celebrate the recent 75th Anniversary of the United Service Organizations (USO). 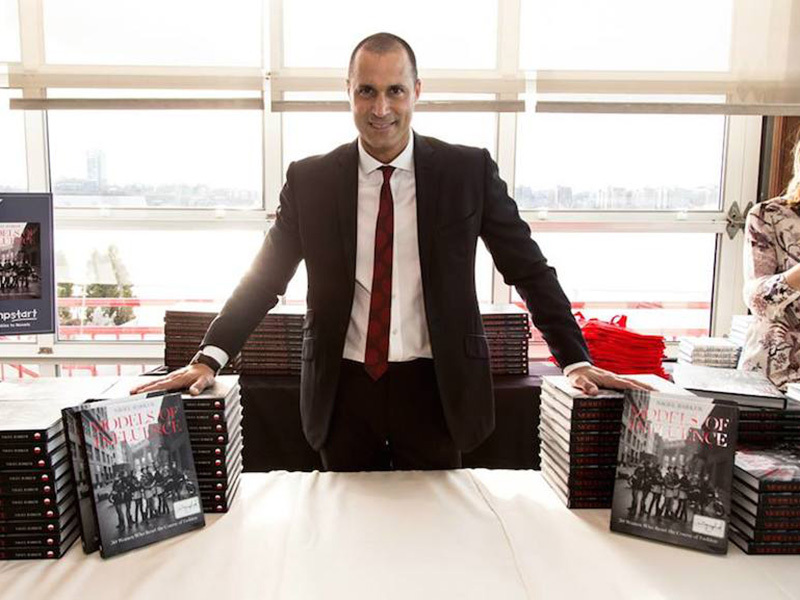 Named to the USO’s 75th Anniversary Honorary Committee, Nigel Barker helped promote an USO initiative calling on Americans to send one million messages of support to the men and women of the U.S. military leading up to the February 4th anniversary, and was gracious enough to host his own celebration at the 463 West Street Penthouse on February 17th. 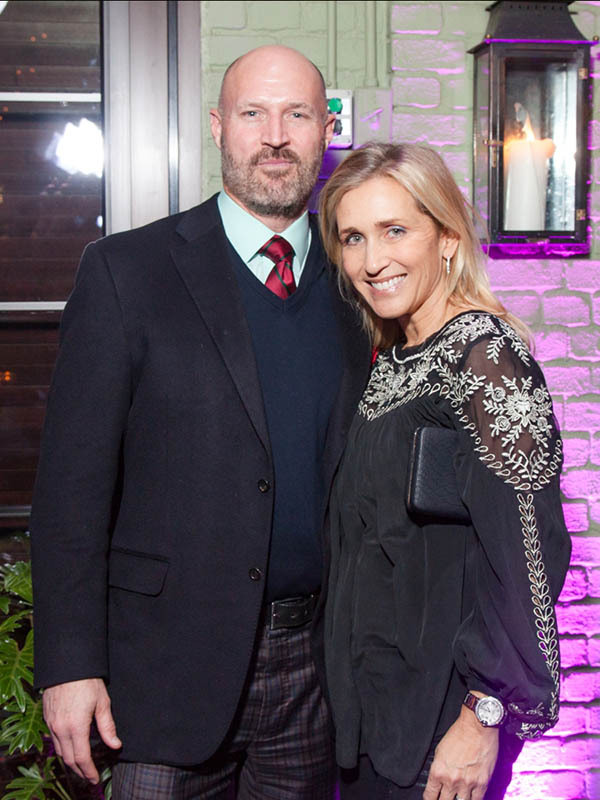 It being New York Fashion Week, the night was a huge success and it was our pleasure to join our friends and colleagues in supporting such a wonderful organization and cause. 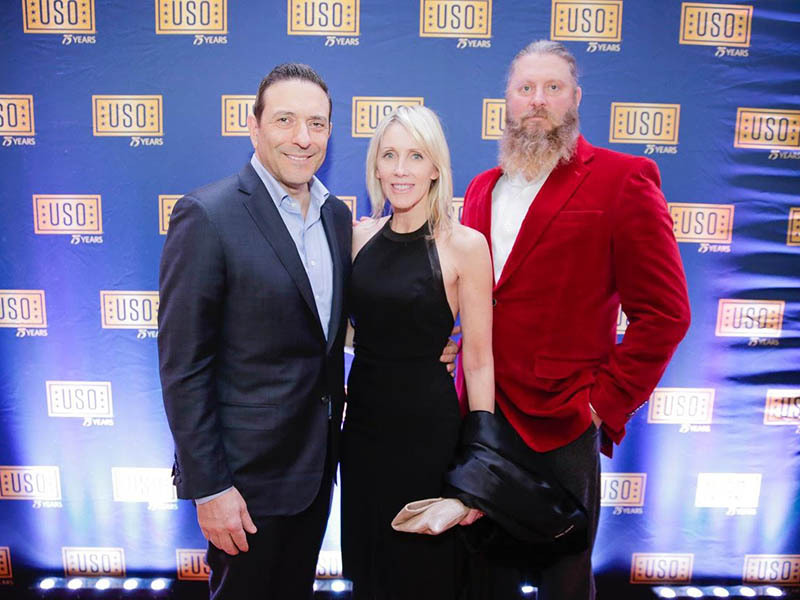 We want to thank Nigel for hosting the event and wish the USO a very happy anniversary! 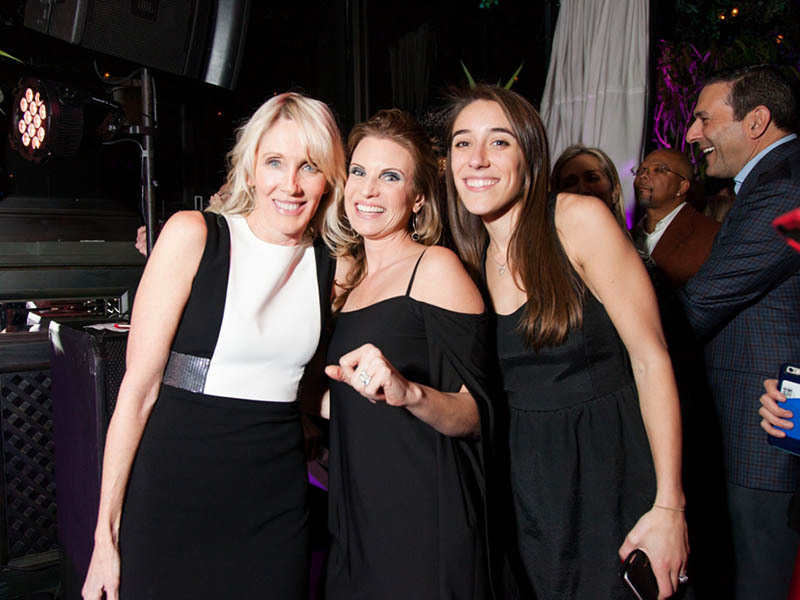 We at Rizk Ventures were happy to host our 2015 holiday party this past weekend to celebrate another amazing year of business, family, and friendship. 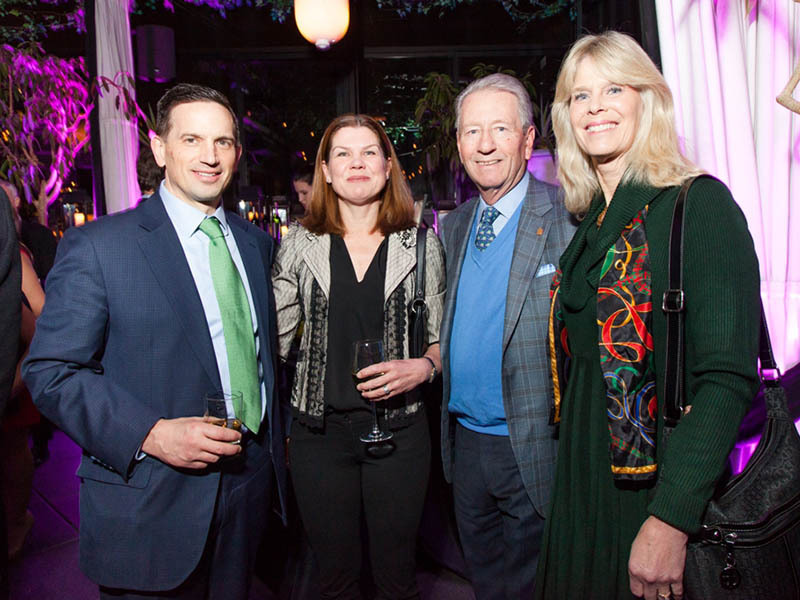 This year the party was held on the Terrace of the wonderful Gramercy Park Hotel, a beautifully decorated space in the heart of Gramercy with a spectacular view of the surrounding New York City skyline. 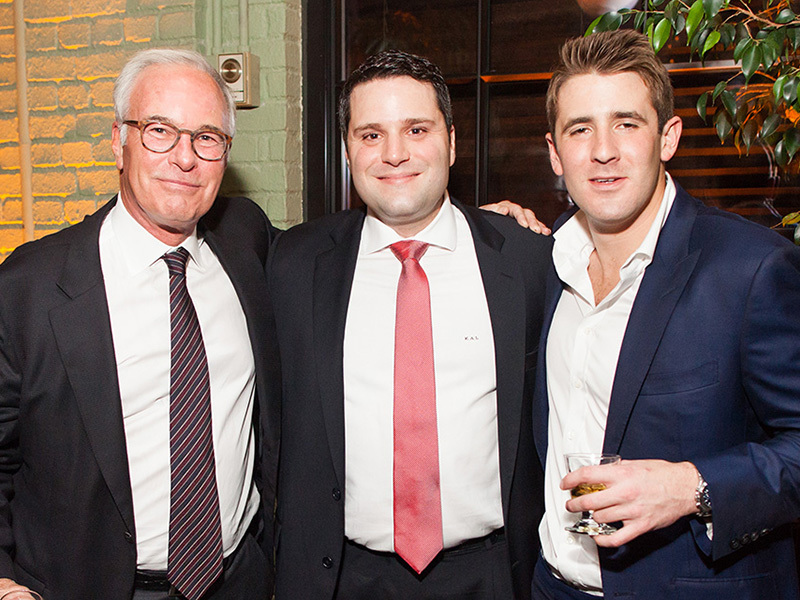 The guests included our various Rizk Ventures teams, colleagues, and great friends and included partners from our two newest ventures, Workspace Property Trust and Rizk Ventures Healthcare Analytics. The night featured catered food and drinks, a live DJ, a magician, speeches and toasts by Tom, me, and our daughter Alex, and a performance from a very special musical guest. 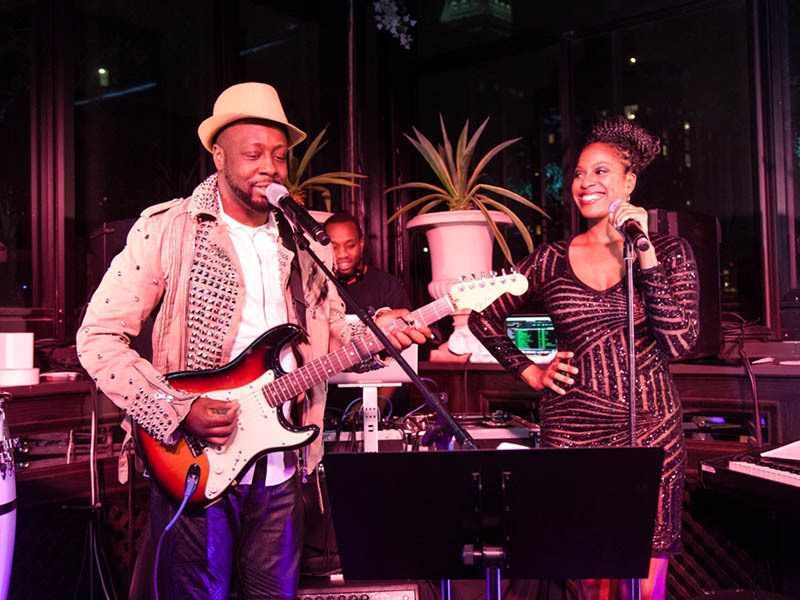 We were honored to have Wyclef Jean, the Grammy, Billboard, Golden Globe, and MTV Video Music Award-winner, as the night’s primary entertainment. 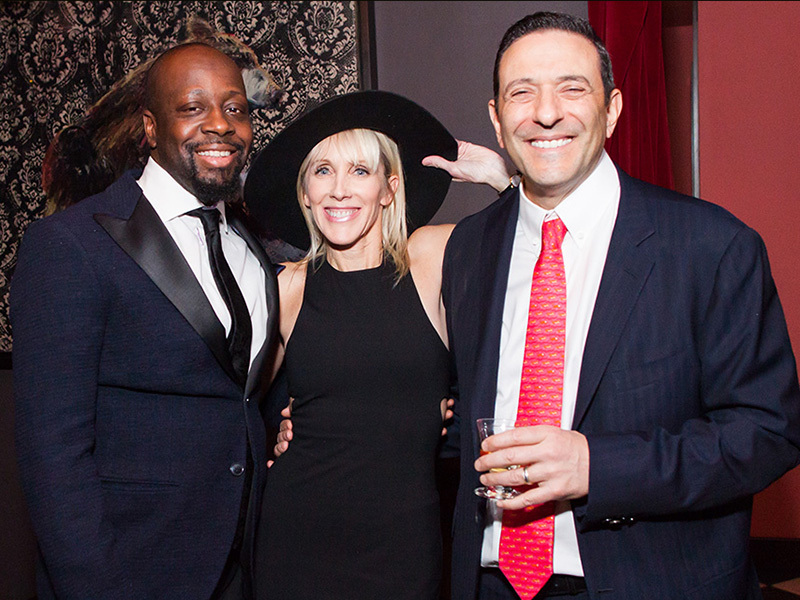 Wyclef was an absolute treat to be around and heavily contributed to the high-energy and joyous atmosphere of the party. He performed mostly his hit music, but included a special verse thanking myself and the rest of the CHTCS team for our efforts to help eradicate human trafficking and modern slavery, as well as the veterans in attendance. 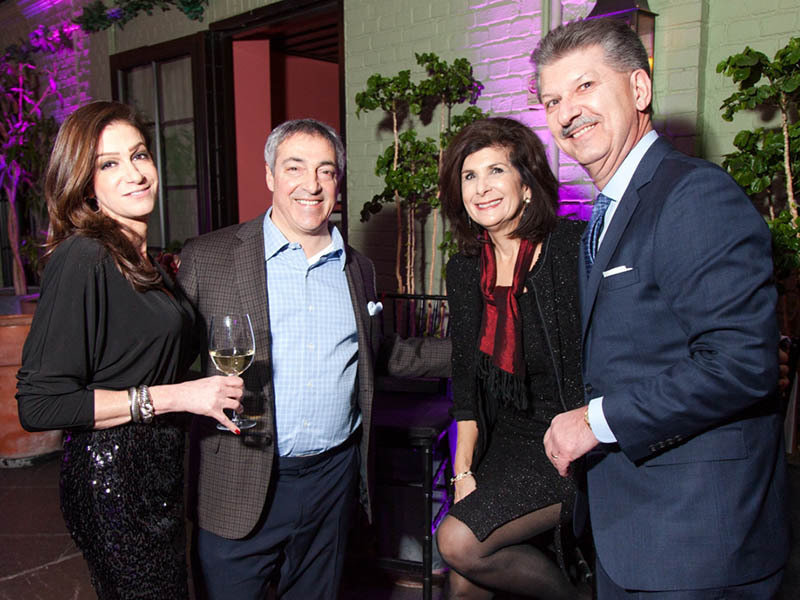 On behalf of the entire Rizk Ventures team, I would like to extend a big thank you to our friends and families who came and those who were unable to make it but are just as important in our lives. We would never be able to join in celebrations like this without the hard work and dedication put in by each and every one of our Rizk Venture’s employees and colleagues. We wish everyone a very merry holiday season and a happy New year! We can’t wait to see what 2016 has in store for us all! 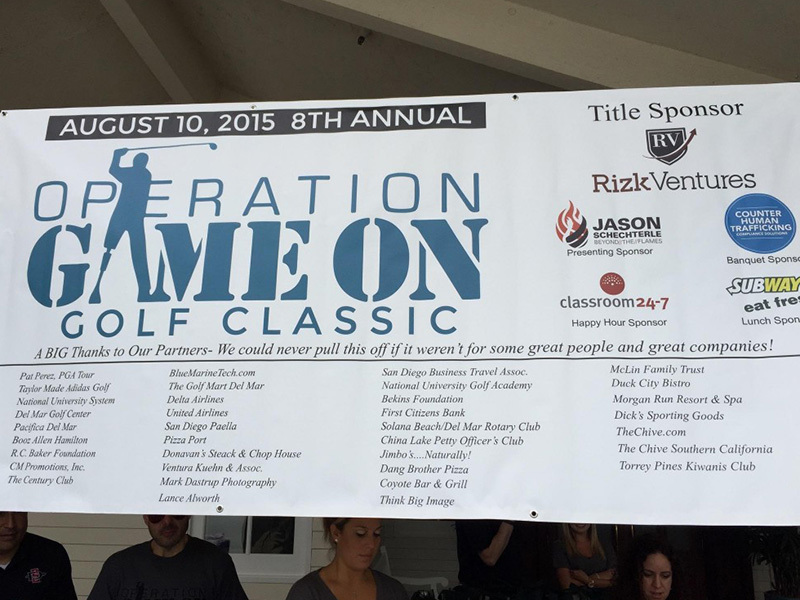 Rizk Ventures was honored and proud to once again sponsor Operation Game On’s Annual Golf Classic, a charity event that took place on August 10th, 2015 at the Morgan Run Club & Resort in Rancho Sante Fe, California. 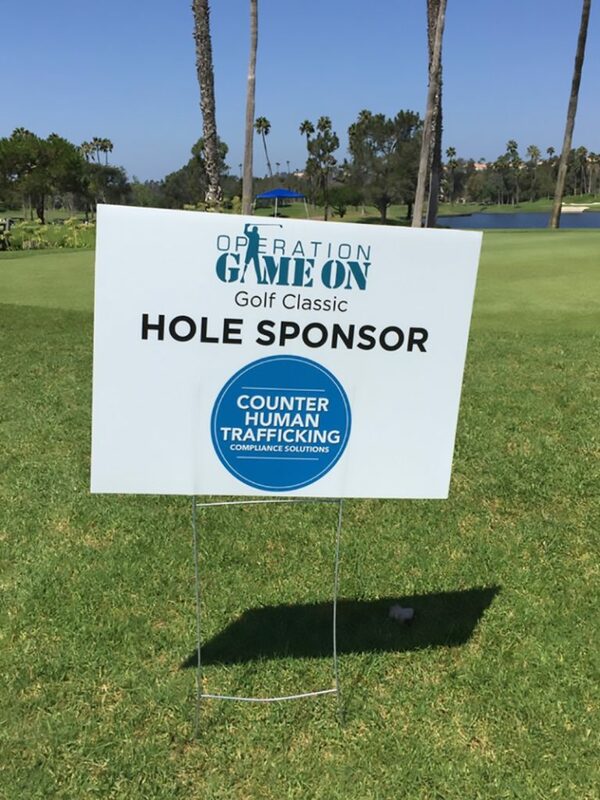 The Golf Classic was held to raise money for Operation Game On (OGO), an innovative nonprofit golf program that helps rehabilitate returning combat-injured troops suffering from physical disabilities and PTSD. Playing with the OGO members is all the evidence you would need to document the significant impact OGO has had on the combat-wounded heroes involved in the program. Rizk Ventures’ and CHTCS’ Lt. Col. James Wiley, a 31 year military veteran, and I were in attendance and played during the event. The day was filled with joy, laughter, and of course some light-hearted competition. 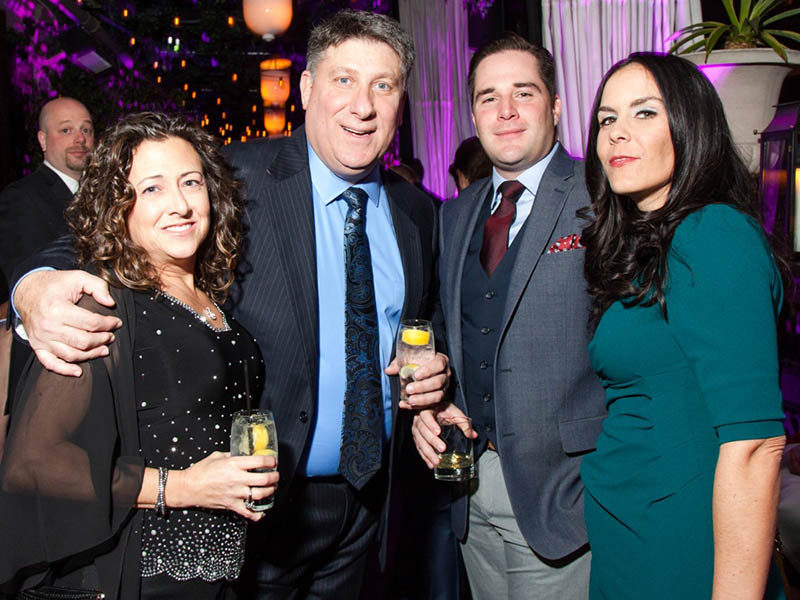 Last night, the Rizk family had the privilege of representing Rizk Ventures at the 10th Anniversary Gala of Jumpstart’s annual fundraising event, Scribbles to Novels. 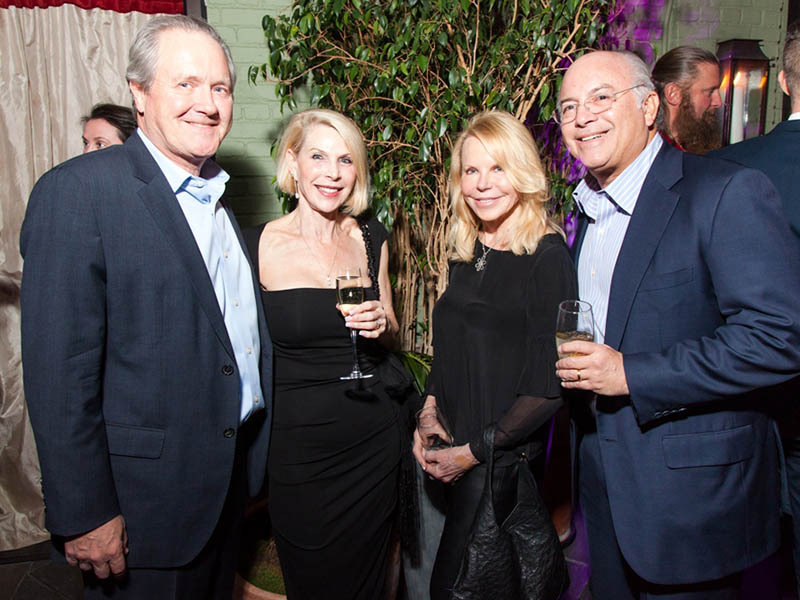 The event, meant to celebrate the power the written word and raise funds for Jumpstart, featured a host of authors, celebrities, and leaders involved in promoting early childhood education. My husband Thomas, our son Geoffrey and I were honored to be a part of such an amazing event for a great cause. 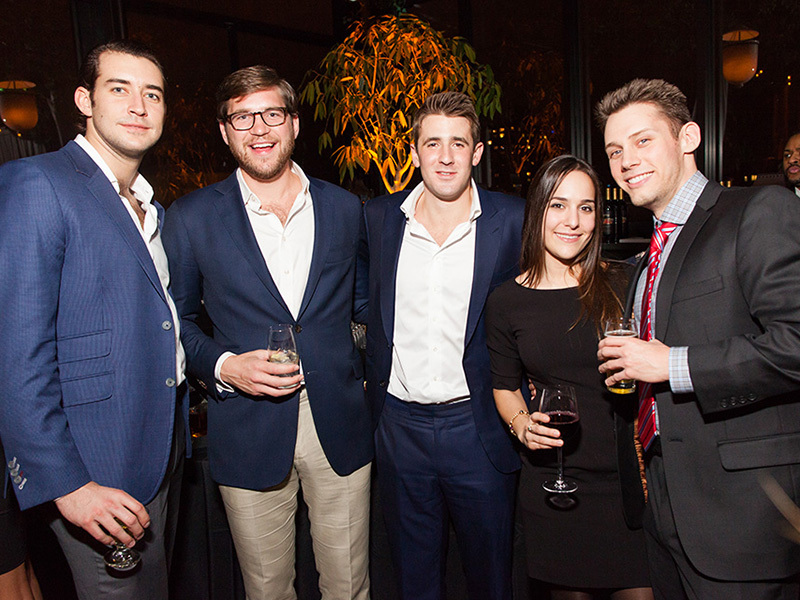 The event, looking out over the Hudson River, featured talks from Pulitzer Prize-winning guest speakers Nicholas D. Kristof and Sheryl WuDunn. Also in attendance were Actress Brook Shields, Fashion Photographer and TV Personality Nigel Barker, and Former Giants Running Back and Superbowl XXV MVP Ottis “O.J.” Anderson, as well as various established authors and writers. 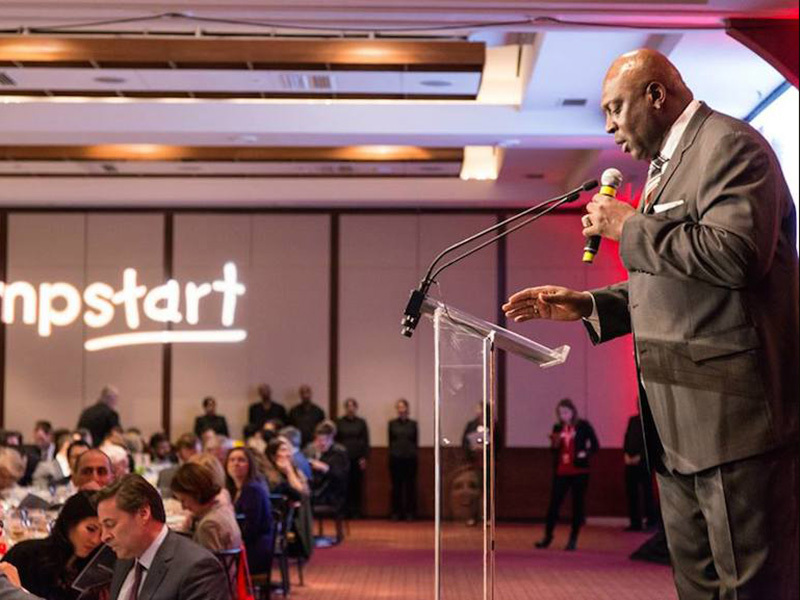 In addition to the talks by Kristof and WuDunn, Ottis Anderson and Nigel Barker conducted a live auction to help raise funds for Jumpstart. 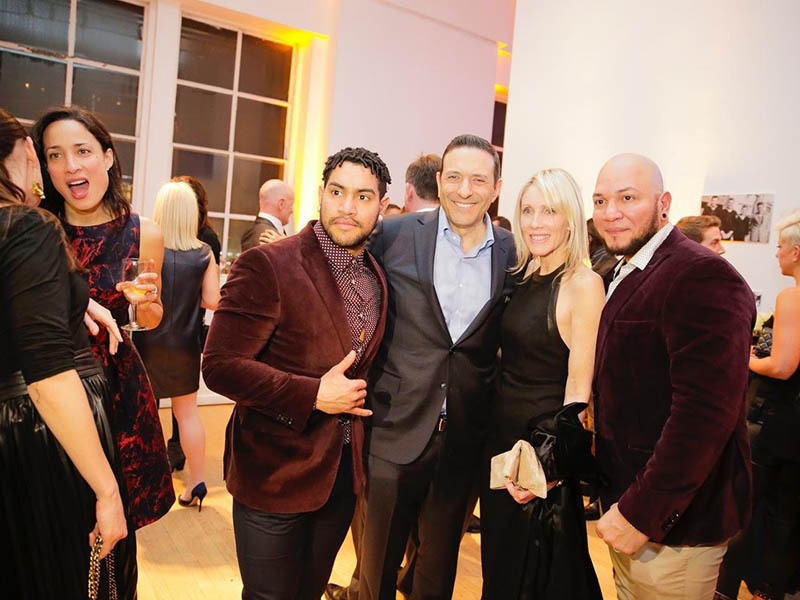 Among the auction items was a team workout with Nigel Barker, Hugh Jackman and the rest of the DogPound, a group of elite fitness trainers based in New York City. 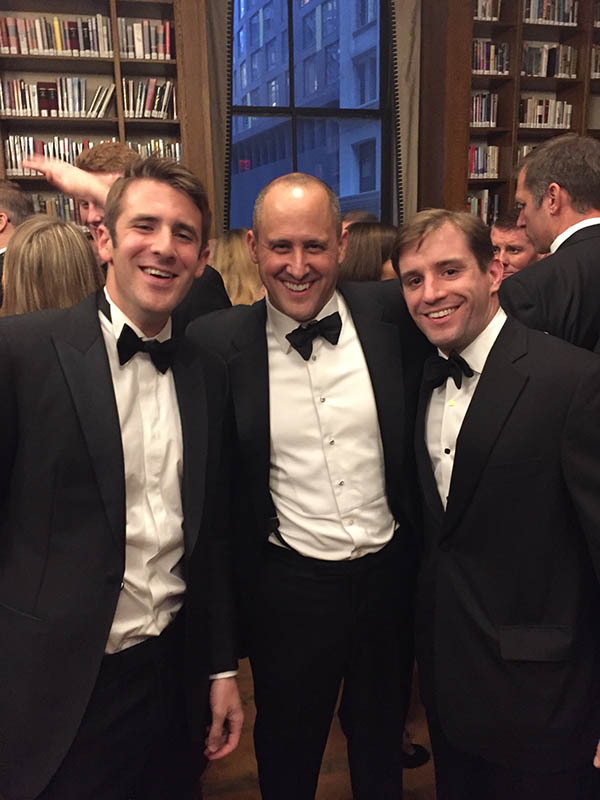 Cofounders Kirk Myers and Brey Pena, along with the rest of the DogPound, were extremely generous to offer up their time in support of early childhood education. 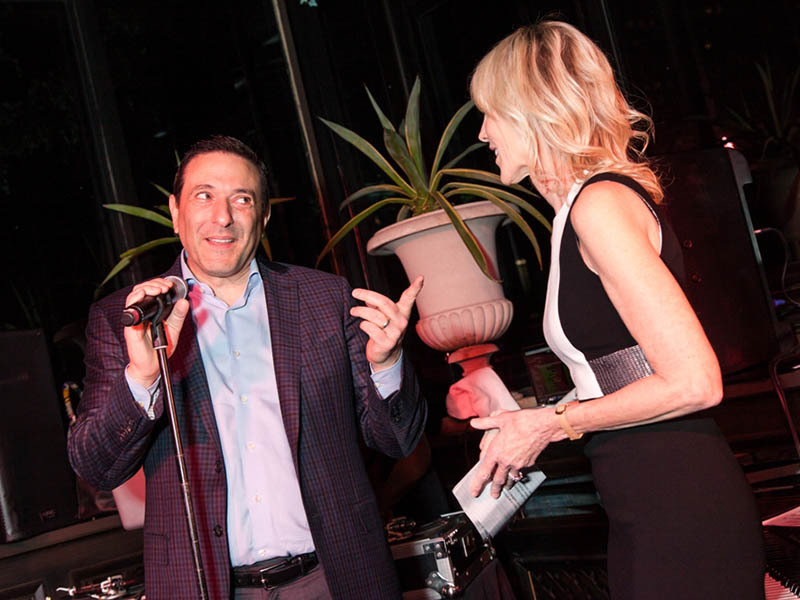 The auction, while extremely entertaining, showed the generous nature of those in attendance, with all auction proceeds going towards the improvement of youth education. To cap off the event, we had the pleasure of getting to meet the guest-speakers and special guests, who were all amazingly dedicated to the event’s cause. Kristof and WuDunn were even generous enough to give out copies of their books, Half the Sky, A Path Appears, and I’m Glad I Did. We would like to thank Jumpstart and their sponsors for a great time.